9″ x 9″ booklets for partnership pitch meetings. Produced with translucent glama covers to give the illusion of catching a baseball in a glove. 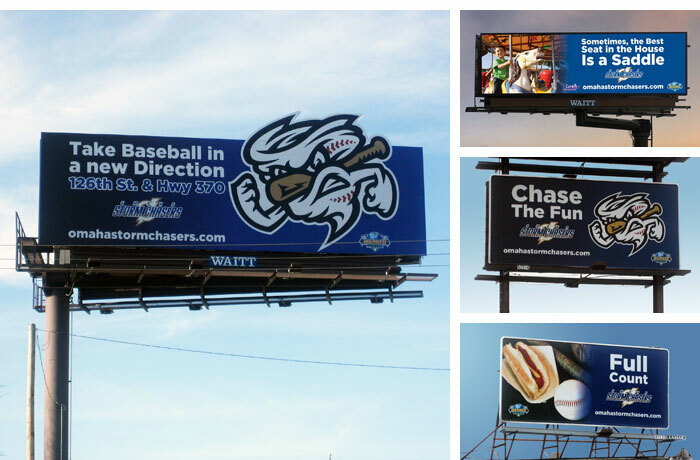 Outdoor campaign for the Omaha Storm Chasers’ inaugural season in 2011. 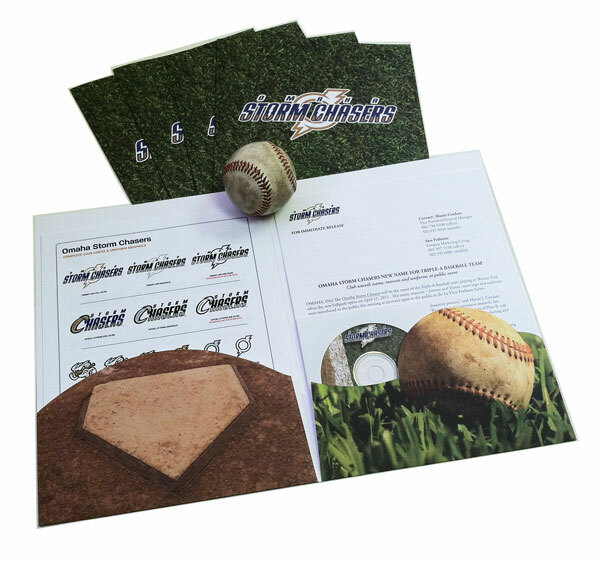 Custom die-cut pocket folders for media kits at event announcing the new team name and logo. 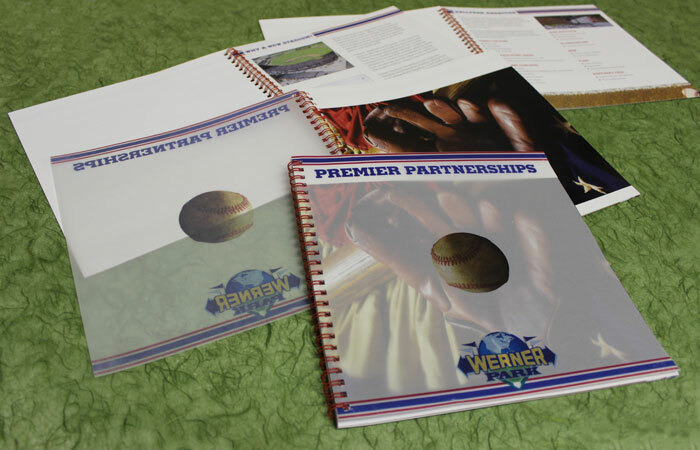 For the groundbreaking of what would become Werner Park, a logo design that appeared on invitations, construction t-shirts, and even the commemorative shovels used at the groundbreaking ceremony. Custom groundbreaking shovels with the logo, as used by Warren Buffett, George Brett, and other dignitaries at the event.